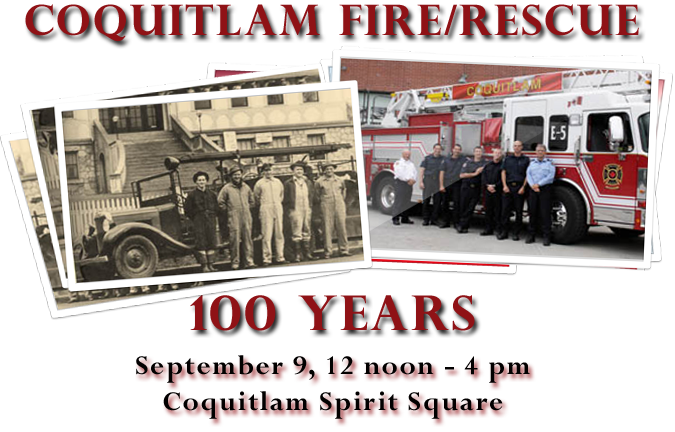 Coquitlam Fire/Rescue is celebrating 100 years of service to the community, and we’ve been invited to help them share the fun with the community! 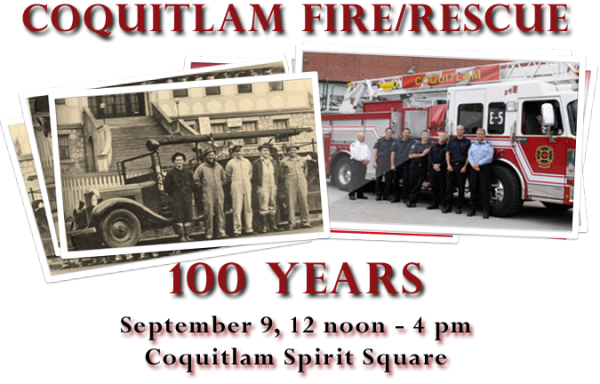 Come out and celebrate Coquitlam’s firefighters, both present and past. Find out how the fire service has changed over the last 100 years with fun static and interactive displays! Food and drinks available for purchase. Please note: Playing times for the band are very approximate, so come for the whole afternoon, check out all the demonstrations and get some good food, and dance along with the band whenever we get a chance to play!